David Dimbleby will be joined in London by the Lord Adonis, Boris Johnson, Shirley Williams, Carol Vorderman and Will Self. Shirley Williams is on so often she must have a reserved sticker on her chair. Usual rules - 6 guesses. Bonus points for correctly predicting the spurious links that politicians make between the questions. This week we may even have a player in the audience..
1} Bulger killer : We have a right to know, for some ill defined reason. Bravest will point the absurdity of this stance.Populists will go with the Mail. Gordon wades in unnecessarily today. 2} Michael Foot was the last honest politician. Didn't stop him being the most out of touch for his age, but he was a socialists socialist. Shirley 'gang of four' will be generous.Can Will Self resist languidly asking her Ladyship and His Lordship to comment on Mr Foot's decision to decline all bourgeois honours. 3} Ashcroft non-dom - non-interest story. 4} BBC cuts - Boo-Hoo round . Will anyone dare mention reducing,rather than maintaining the inflation proofed increases to the licence fee? 5} Londoners will not get preferential treatment for the Olympics, despite paying for it. 6} Footie - England in the top 8. Bound to win the world cup now. Labels: Politics, Question Time, Quiz.Competition. 2) those PM TV debates - unfair to SNP? unfair to audience, why can't they make animal noises in the back row as usual? 3) killer hens - unfair to foxes? if time permits would Boris and Adonis care to step into the middle and slug it out over a new London Airport? Longest suicide note in history;why is Labour still a statist redistributive party? Why is school education unable to deliver mass numeracy and literacy for eleven yearolds, like the rest of Europe? Helping the deprived should not be identified with ignoring most of the people's reasonable expectations of government provision as it leads to creating entire populations of deprived. Arithmetic should not be confused with mathematics. Did Brown funk calling the election last weekend? No preferential treatment for Londoners? Aaaaah. So what, thinks this South Westerner, who helped stump up for god knows how many London Vanity schemes - the Dome, the Jubilee line, none of which benefited him in any way whatsoever. But the Dome was a huge success and cost nothing at all. Q1 : Ashcroft. Not a non dom Q but a Tory honesty one. Big round of applause too. Boris tries his best but the mood is anti Tory and don't care about Lib/Labs. Once the public wades in it all becomes a load of politicos squabbling about very little. Q2 : Brown and Chilcot. Lack of funding. I will eat my John Lewis list if the commission even gets close to eliciting anything other than Gordon's monosyllable responses that show Brown provided everything that was asked of him. Q3 : Venebles. 50/50 Public anger. Panel objectivity, except carol who is checking the mood of the arena. Sarah's law gets a mention! Q4: Leadership debates. Went normally enough until the beardy lefty made a party broadcast against Boris. 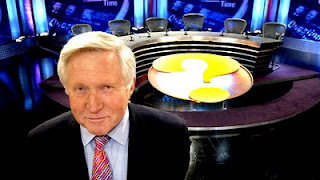 Dimbleby? What is your role here? Then does the Cameron/Johnson split and doesn't let him answer. Rambled on so only four questions. Miss CD - 3 hits out of 4. HG - none I'm afraid. I was sure a maths one would crop up too. Malcolm Tucker : 3 hits. So ND/Malcolm/Miss CD all on 3. This weeks winner is Malcolm Tucker for being the only one to spot the obvious Brown at Chilcot story.